Click above the view the full GALA 2019 gallery on Flickr. 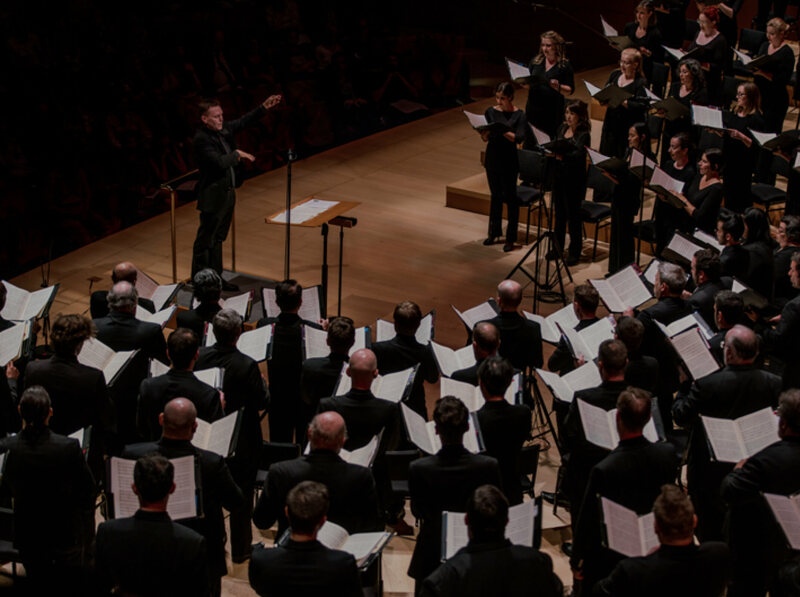 The Gala is the Los Angeles Master Chorale’s largest fundraising event of the year. 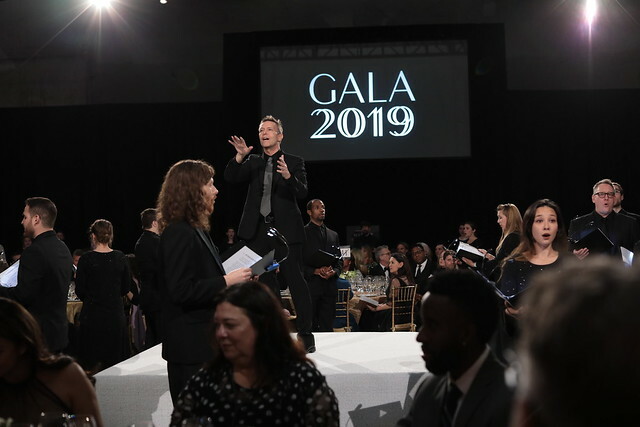 GALA 2019 raised a record amount of $741,000, a combination of table & ticket sales, a live auction, a silent auction, and an education program appeal. The event was attended by just over 300 guests. Philanthropic honoree Lillian Pierson Lovelace has played a significant role in the creation and presentation of Lagrime di San Pietro as part of her decades-long support of the Los Angeles Master Chorale. The acclaimed touring production is made possible with generous underwriting from the Lovelace Family Trust and is dedicated to the memory of Lillian Lovelace’s late husband, Jon Lovelace, in honor of the special friendship they shared with director Peter Sellars. Mrs. Lovelace accepted the award presented by Gershon and Jenny Wong, Associate Conductor, and spoke about the importance of choral music in her life and how gratifying it is to help Gershon and the Master Chorale realize projects including Lagrime and also Big Sing California. She was accompanied to the Gala by Carey, Anahita, and Jim Lovelace. Gershon and the 80 Master Chorale singers performed an exclusive preview of a new collaboration between the Master Chorale and artistic honoree Doug Aitken. Gershon and Aitken have been collaborating on the new large-scale work over the past year. Conceived in multiple movements, the fully-realized work will place the Master Chorale singers in an outdoor environment for a performance that invites viewers to move around as they listen, experiencing the music as an interactive soundscape. 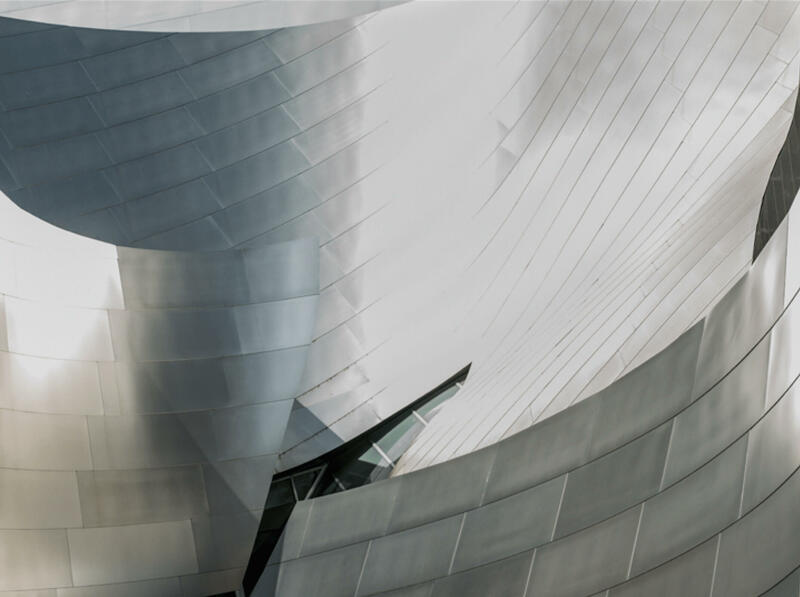 The full project, commissioned by the Los Angeles Master Chorale, is expected to be presented at full scale during the 2020-21 season. Video courtesy of Doug Aitken/Doug Aitken Workshop. David Gindler and Kiki Ramos Gindler with honoree Doug Aitken. The Master Chorale partnered with the Marciano Art Foundation for the event. The foundation generously donated its distinctive space, a former Scottish Rite Masonic Temple built by Millard Sheets in 1961. The contemporary art gallery founded by Maurice and Paul Marciano opened in 2017 and displays works from the Marciano Art Collection. It is not generally available as an event space, but was offered owing to the close relationship the Marcianos have with honoree Doug Aitken. Gala guests enjoyed exclusive after-hours access to the gallery’s exhibitions including Yayoi Kusama’s “With All My Love For the Tulips, I Pray Forever” Maurice Marciano attended the Gala with his wife, Nicole Frank. Honoree Doug Aitken, Nicole Frank, and Maurice Marciano. The Gala event included the Master Chorale’s signature Surround Sing when 80 singers from the Master Chorale circle the audience and perform with Grant Gershon, Kiki & David Gindler Artistic Director, and Jenny Wong, Associate Conductor, conducting from the center of the lobby, giving the attendees an intimate up-close-and-personal experience. This year the singers sang from the Mezzanine level of the Marciano Art Foundation building, surrounding the guests who were in the lobby. The Surround Sing performance with singers serenading Gala guests from the mezzanine. Jenny Wong, Associate Conductor, conducting the songers from the lobby for the Surround Sing. The live auction, led by Classical KUSC host Rich Capparela, began with the popular radio host auctioning off the opportunity to join him at his beach home to sit in on one of his “KUSC at the Beach” broadcasts. Master of Ceremonies Rich Capparela. Board member Jenn Hoang, a Vice President at Capital Group, introduced the Fund-A-Need that raises money for the Master Chorale’s education programs with an impassioned speech detailing her own experience taking part in the Master Chorale’s High School Choir Festival. Board Member Jenn Hoang speaks about the Master Chorale's education programs. The event was catered by celebrated downtown L.A. chef Josef Centeno of Bäco Mercat fame. Wines for the night were curated by Corkscrew Adventures and included a selection of California wines selected for each course. The 2019 Gala Host Committee was chaired by Dr. Annette L. Ermshar, Vice Chair of the Los Angeles Master Chorale Board of Directors. Gala Host Committee members: Raymundo Baltazar, Jennifer Cox, Cindy Frischling, Kiki Ramos Gindler, Martha Groves, Agnes Lew, Dan Monahan, Marian H. Niles, Marie Noorbergen, Sonia Randazzo, Mimi Techentin, Tracy Van Fleet, and Jann Williams. Honorary Gala hosts: Karla and William Ahmanson, Sarah Arison, The Honorable Kathryn Barger, Marciano Art Foundation, Ellen Reid, Peter Sellars, and John Williams.